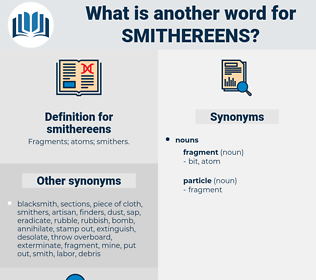 What is another word for smithereens? fragments, portions, bits, solids, slabs, cubes, tunes, dogs, songs, Tracks, cuts.
" Well, I'm beat all to smithereens," and his hand holding the stick dropped to his side. This last was a question put to me with a courteous formality, a formality which a few minutes more were to see smashed to smithereens. 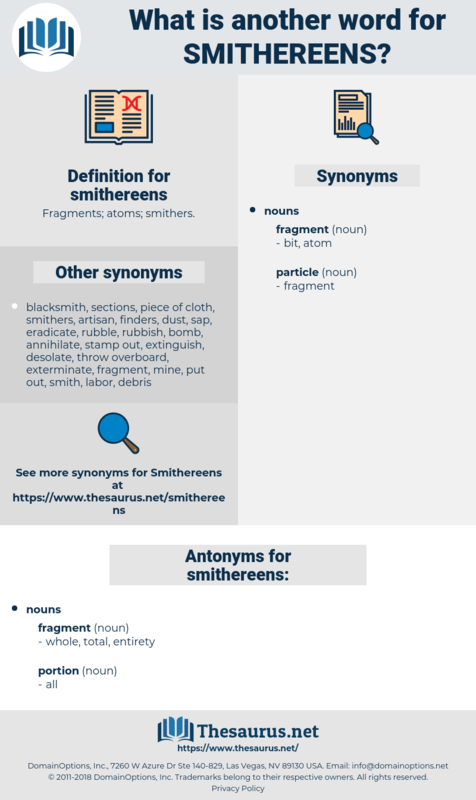 semitrance, squandering, signet ring, saint irenaeus, smattering, sanitariness, smothering.